Designed and fabricated for raad's new office space. Back-to-back plywood tables are connected with a blackened steel cable tray. 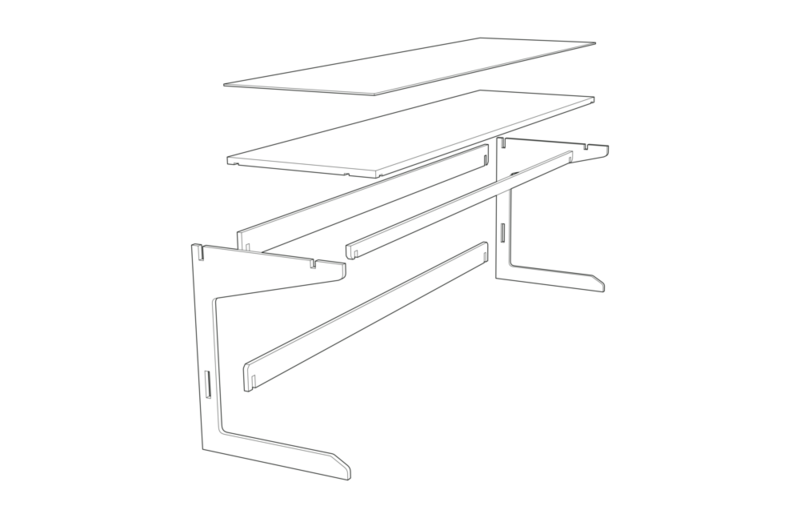 Desks are 7ft long to accommodate a computer and drawing set.